A Giveaway to Prepare for St. Brigid’s Day! 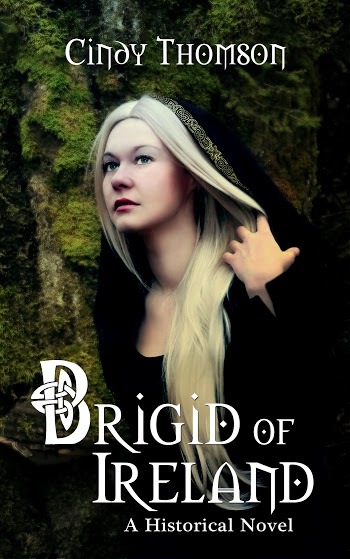 In honor of the upcoming St. Brigid’s Day, I thought I’d host a Goodreads giveaway for a print copy of Brigid of Ireland. Please share! Giveaway ends February 04, 2015. This entry was posted in Brigid of Ireland, giveaway, historical fiction, Ireland, St. Brigid's Day, St.Brigid, Uncategorized and tagged Brigid of Ireland, giveaway, St. Brigid on January 29, 2015 by cthomson. Don’t worry. Soon it will be St. Brigid’s Day. In many parts of Ireland St. Brigid’s Day signifies the beginning of spring. Similar to Ground Hog’s Day, folks would look for signs that warmer weather was coming. Count the hedgehogs you see. Note the new lambs being born. Return to your fishing boat. It’s St. Brigid’s Day! I’m often asked how I got interested in St. Brigid. The answer is in her stories—or rather the stories told about her. Unlike St. Patrick who left some of his writings for prosperity, the stories about the life of St. Brigid were written at least a hundred years after her death. But they still make fascinating reading, even when you take into account that monks often wrote these as a kind of propaganda—our saint is better than your saint so you pilgrims should come to Kildare to spend your coins and trade your goods for blessings and sacred inspiration. Apparently, Brigid’s mother gave birth to her as she was coming in from the morning’s milking. She slipped on the threshold, fell, and right there Brigid was born, just as the prophet had predicted: neither inside nor outside the house. In my book, Celtic Wisdom: Treasures From Ireland, I recount the legend of Brigid and her father’s cherished sword. Apparently Brigid had been so generous with the poor that her father decided he could no longer afford to keep her. He decided to put her into the King of Leinster’s service. 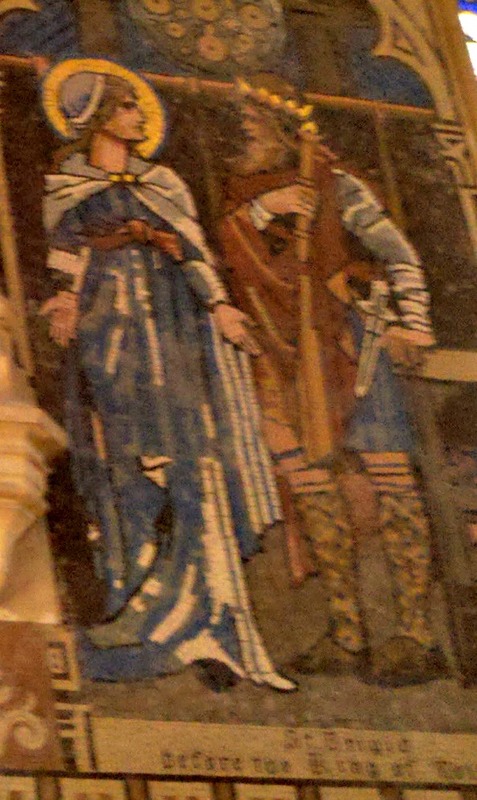 Dubthach took Brigid in his chariot and traveled to the castle. He bid her to stay put outside while he inquired of the king. While he was gone, a beggar happened by. Being away from the dairy, the supply of food from which she had fed the poor, Brigid searched for something to give the poor man and spotted the gleam of metal in the sun. She pulled out her father’s sword from beneath some blankets. It was not an ordinary sword, but one with a jewel-encrusted hilt. Just as she was handing it over to the beggar, her father returned with the king. Dubthach declared that this was just the reason he had to be rid of her. The king, being as wise as his position required, asked Brigid whether, if she were to be under his authority, she would give away his cattle and possessions. Brigid answered truthfully. If she had all the wealth of the King of Leinster, she would give it away to the poor in the name of God. The king was humbled by this reply and told her father that she was far nobler than either of them. He gave Dubthach a sword to replace the one given away and granted Brigid (who had been her father’s slave) her freedom. Story after story declared Brigid’s heart for people and how God showed her favor. I thought, what if those things actually did happen? What would that look like? And then I wrote a whole novel about her. I still enjoy her stories and am inspired by her generosity and selflessness. St. Brigid’s Day is this coming Sunday. You might weave a cross or bake some bread and look forward to the generosity of the rebirth of the earth—spring! This entry was posted in Brigid of Ireland, St. Brigid's Day, St.Brigid and tagged Brigid of Ireland, St. Brigid, stories on January 27, 2015 by cthomson.